1.Heat olive oil in a heavy-based saucepan over a low-medium heat. Add onion and garlic and cook until softened. Then add curry paste, stir and cook gently until fragrant. 2.Add sweet potato and stock (add a little water if needed to completely cover potato). Cover with lid and bring to boil. 3.Lower heat and simmer for around 20 minutes until sweet potato is soft. 5.Serve diabetic potato soup topped with herbs and accompanied by a wedge of lime for squeezing. 6.Personally I prefer eating this potato soup hot, however in summer it makes a refreshing start eaten cold with a cold main course. One can eat Diabetic Potato Soup hot or chilled. 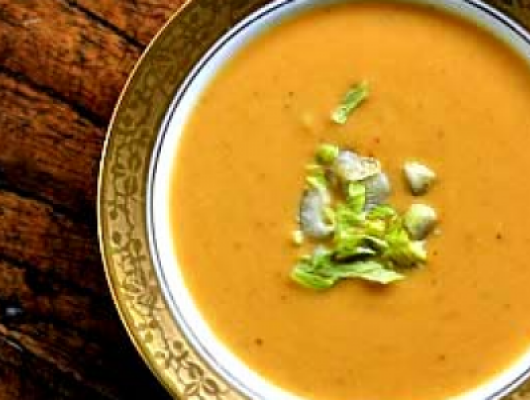 This soup is so easy to make and you will find the taste well worth the slight effort taken.